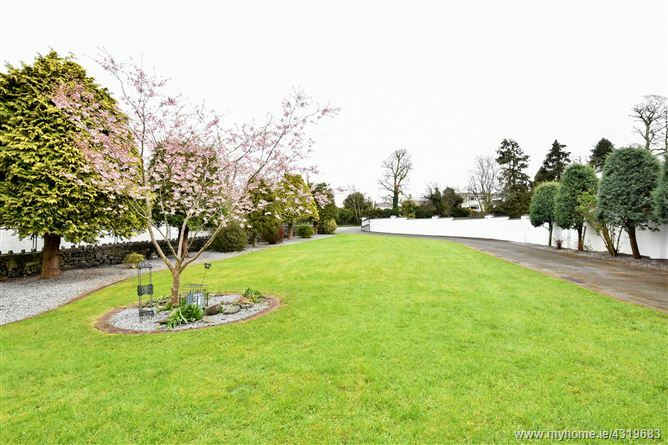 Cnoc an Ime is an exceptional detached residence with ample living space in an attractive residential setting of Loughrea town. Constructed in 1997, the property comprises of approximately 340.28 sq.m throughout with an abundance of reception & living space, as well as sleeping quarters. 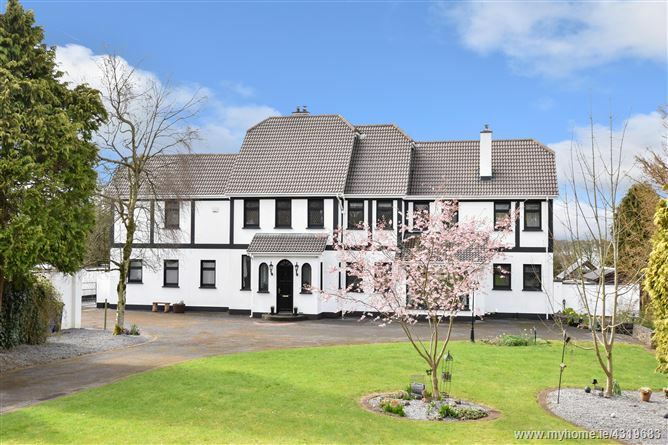 The property is arranged with five large bedrooms, two with en-suites, a large welcoming hall with vaulted ceilings, kitchen & dining areas, separate utility, and ample reception spaces throughout. Presented in excellent condition, Cnoc an Ime is offered with modern quality finishings such as double glazed windows, gas-fired central heating, detailed coving & solid-fuel stoves. 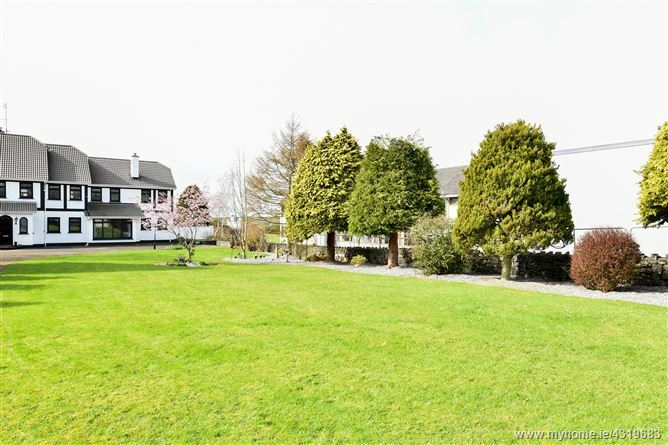 Externally, Cnoc an Ime boasts plentiful green space front & rear, an abundance of space for off-street parking, & manicured patio & garden spaces, creating a perfect family setting. 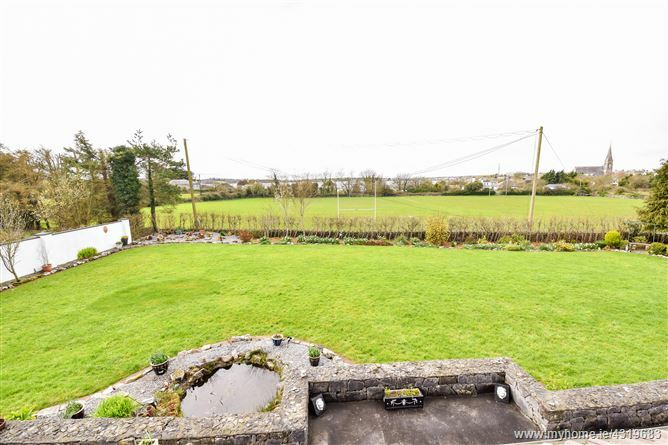 Additionally, the property boasts views towards Lough Rea. 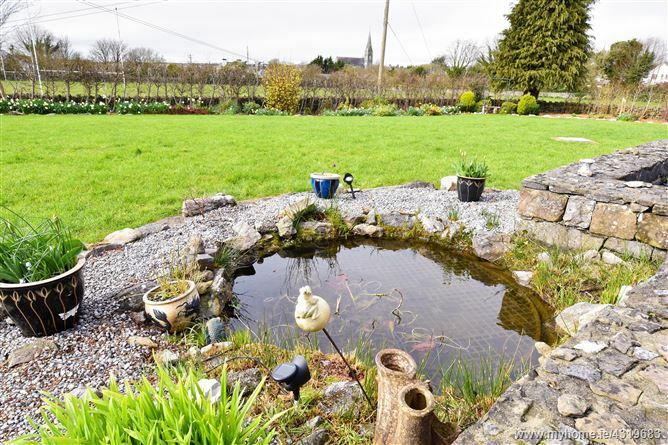 Situated just off of Cross Street, Cnoc An Ime is well positioned in the residential area of Loughrea town. Within walking distance is all local amenities & services to be availed of given the convenient location, including Lougrhea town centre & quality local schools & recreational grounds. Loughrea offers easy access to Galway City & the M6 motorway, giving it a strong reputation as a quality commuter town, whilst still retains a position as a vibrant independent market town. 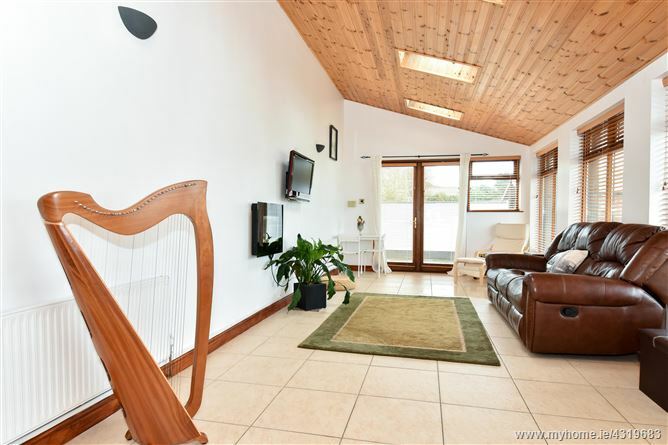 Cnoc an Ime would be the perfect family home for someone looking for ample living space, internally & externally, in turn-key condition & an excellent residential location of Loughrea. 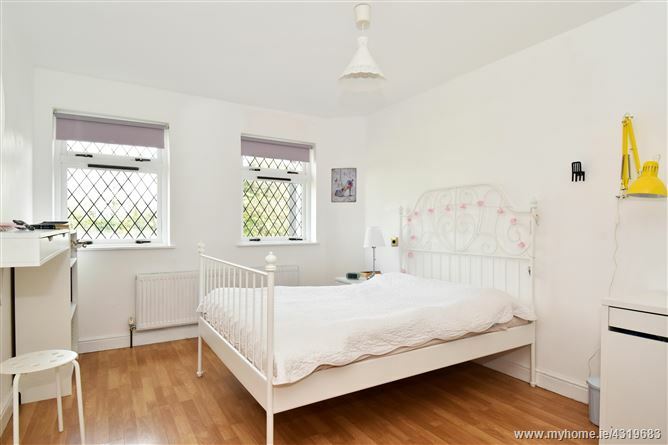 With tiled floors, timber framed double glazed windows. 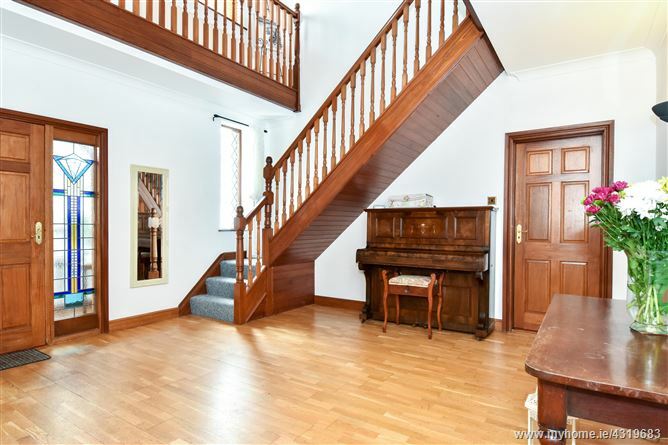 Grand hallway with semi solid timber flooring and feature staircase with landing and ceiling coving. 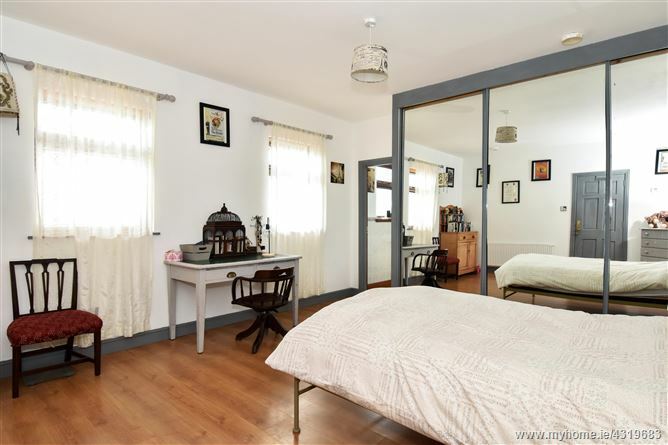 Tiled floors, fully tiled walls, whb and wc and timber framed double glazed window. 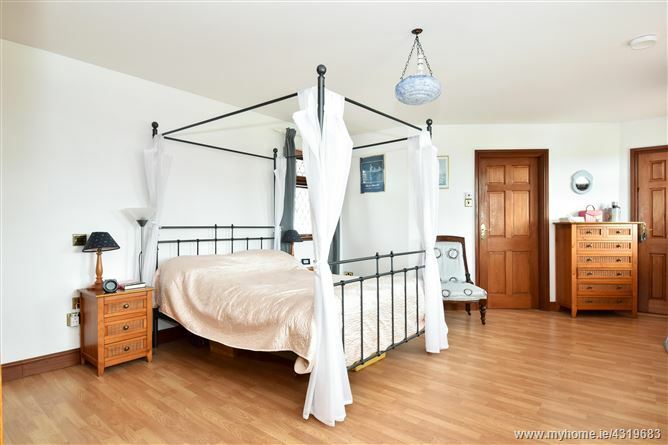 Large double bedroom with ensuite bathroom, laminate flooring, and timber framed double glazed windows, ensuite bathroom and Sliderobe wardrobe. 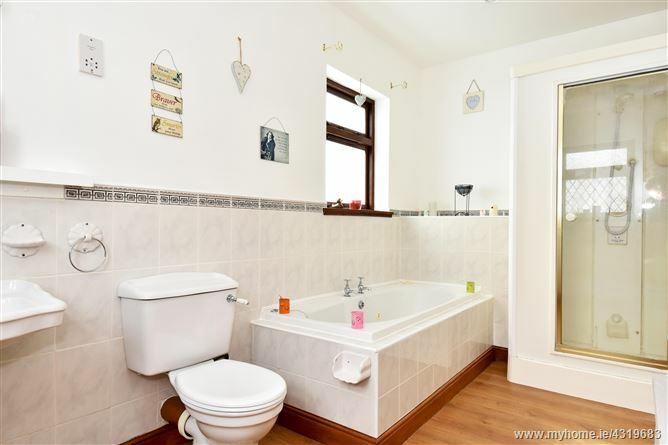 With bath tub, laminate flooring, whb, wc and separate shower cubicle with electric shower. Timber framed double glazed windows with frosted glass. Ceiling coving and recessed lighting. Laminate timber flooring, timber framed double glazed window. An array of wall and floor presses, tiled flooring and back splash, double glazed timber framed windows to front and rear. Ceiling coving, recessed lighting and feature spiral staircase leading to the first floor. Also a solid fuel burning stove with tiled surround. Off the kitchen which divides the utility room from the guest wc. 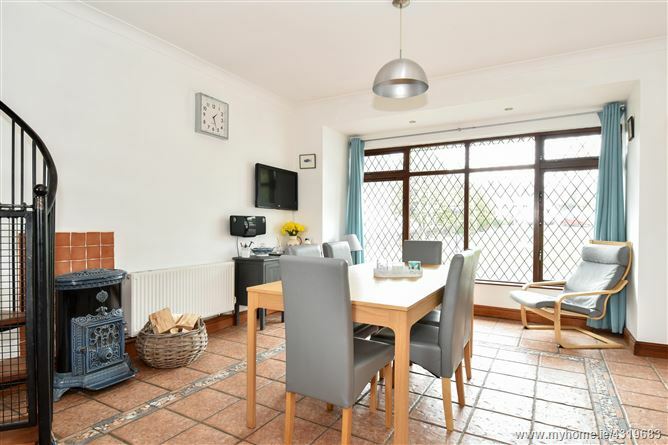 Has tiled floors, timber framed double glazed window and door leading to the rear garden. 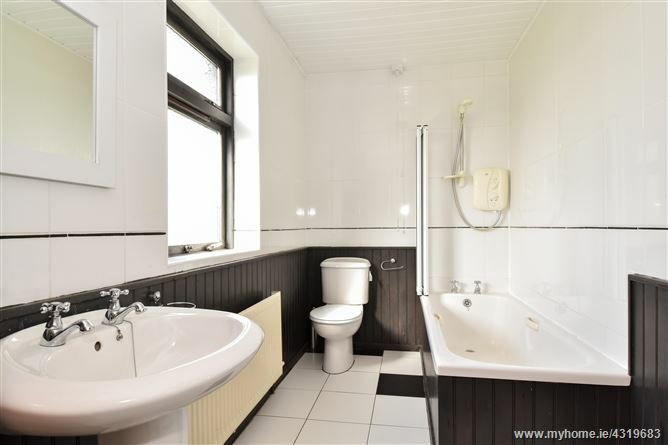 Tiled floor, whb and wc, timber framed double glazed frosted window and partially tiled walls. 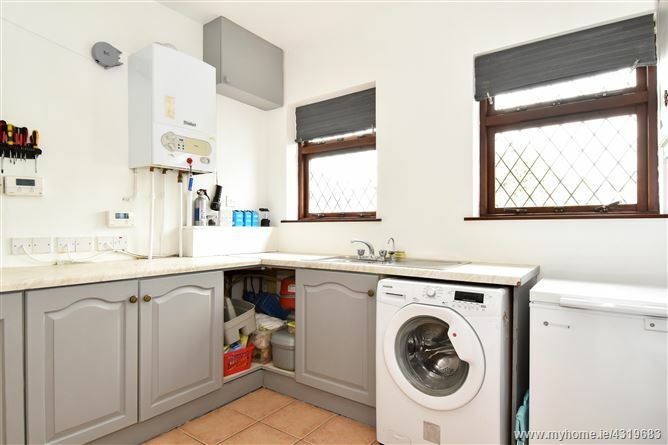 Has tiled floor, an array of wall and floor presses, timber framed double glazed window and gas boiler. 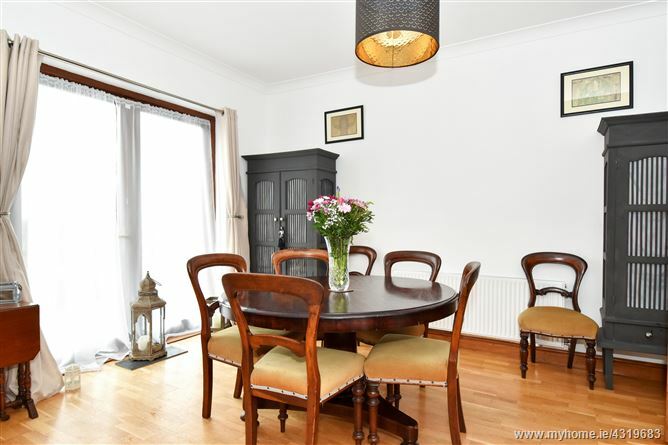 Located to the rear of corridor with semi solid timber flooring, double glazed timber framed bay window and patio doors opening out to the rear garden. 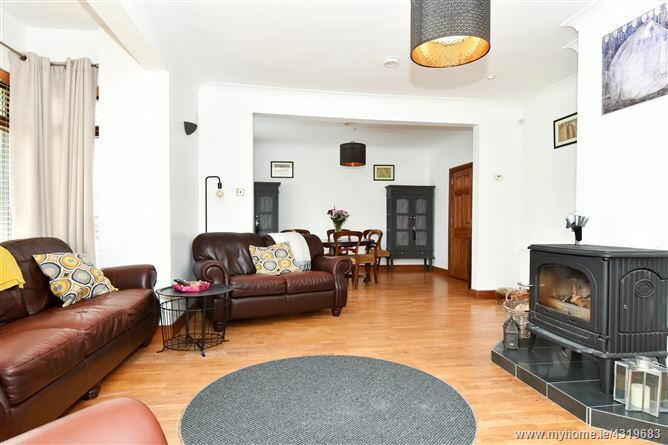 Features a solid fuel burning stove and ceiling coving. 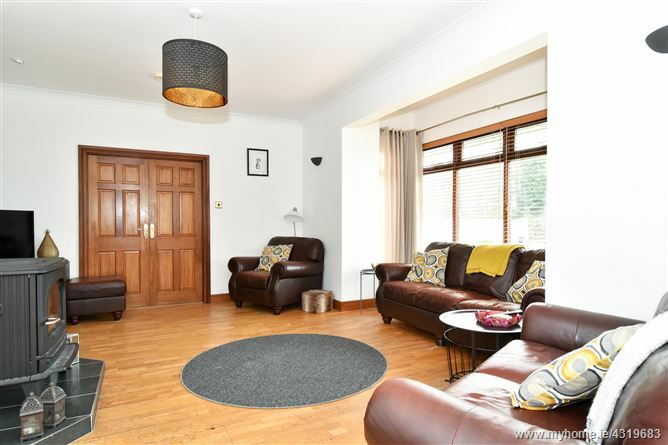 Entered thru double doors from the main sitting room, this room comes with timber clad ceiling, quad Velux windows in the roof and timber framed double glazed windows and patio door exiting to gable end of property. Accessed via carpeted stairs from the main entrance hallway to grand landing space with semi solid timber flooring, ceiling coving, recessed lighting, and timber framed double glazed windows to the front and dual windows to the rear. 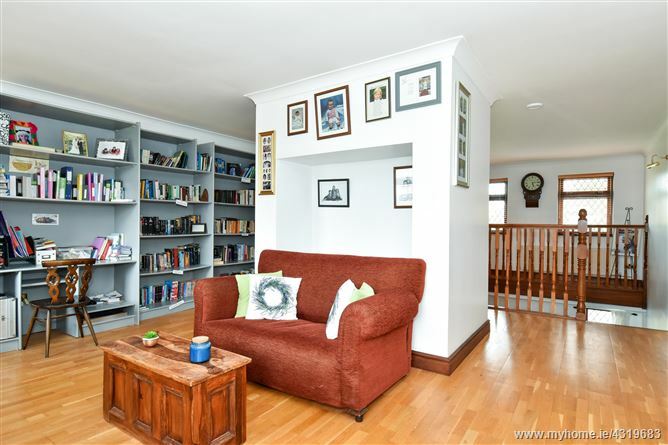 The landing is an exceptional size to accommodate a sitting or reading area with storage for bookcases. Laminate flooring and built in Sliderobe, a small walk-in-wardrobe and timber framed double glazed window overlooking front driveway. 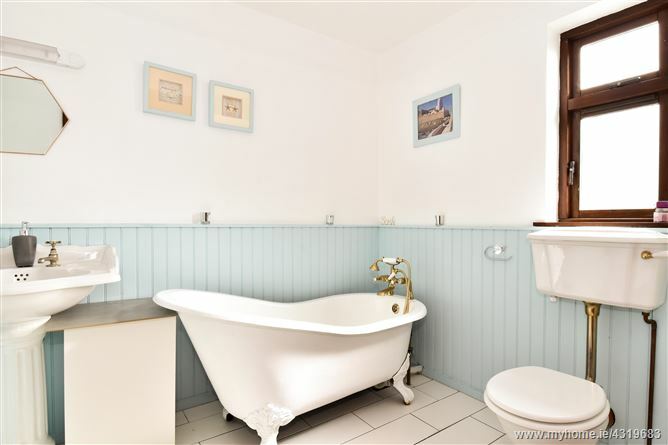 With tiled floor, timber panelling on walls, wc, whb, free standing cast iron bath tub with separate electric shower. To the right of the main landing, with dual timber framed double glazed window and large hot press. Laminate flooring, access to the attic space with Stira stairs and is wired for electricity. Extra-large hot press with abundance of storage. 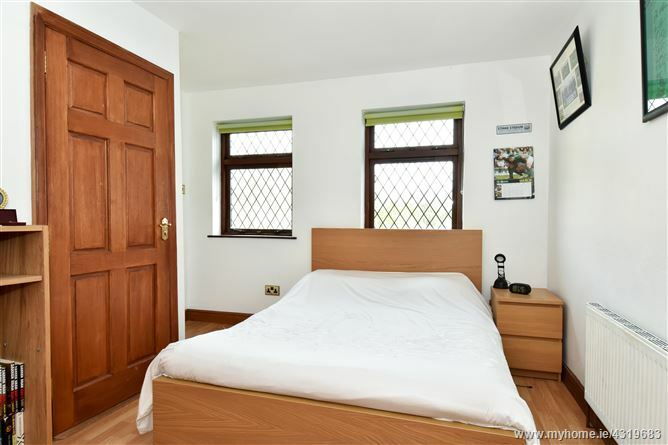 Laminate flooring, walk in wardrobe, dual timber framed double glazed windows overlooking front driveway. Tiled floor and walls, partial timber panelling on walls, frosted glass window, bathtub, whb and wc, electric shower. 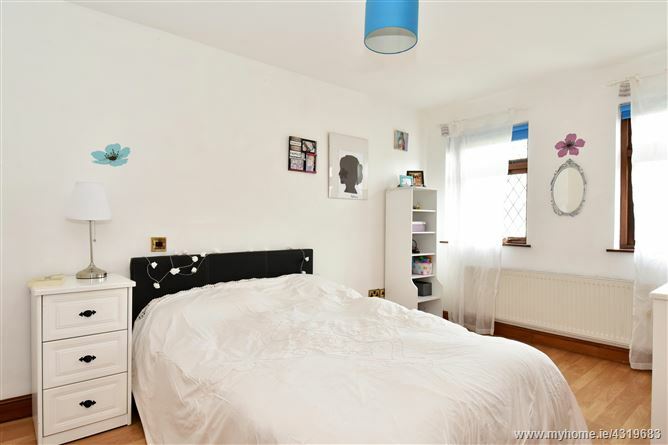 Door from bathroom leads into Bedroom 4 as a “Jack & Jill” feature. Laminate flooring, dual timber framed double glazed window and built in wardrobe. Laminate flooring, dual timber framed double glazed windows and built in wardrobe. 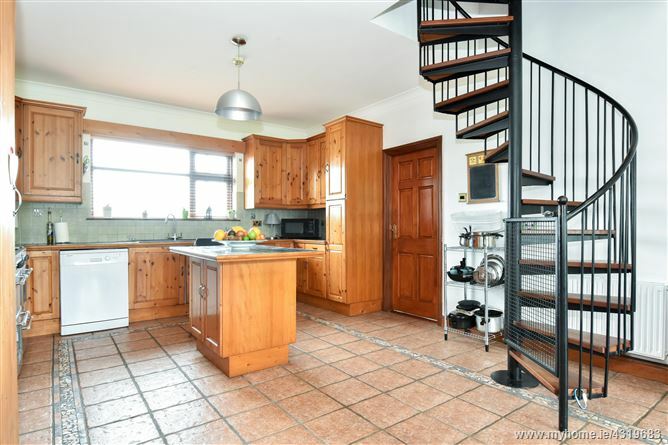 A separate door leads to the spiral staircase leading to the kitchen. 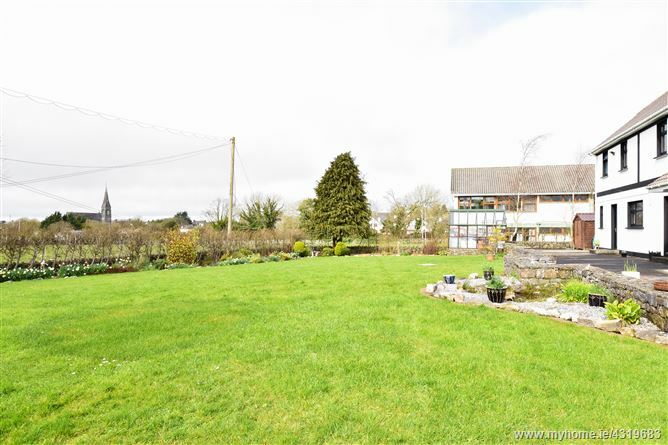 Fantastic views of Lough Rea with large lawned area to front and rear of the property with ample parking space.